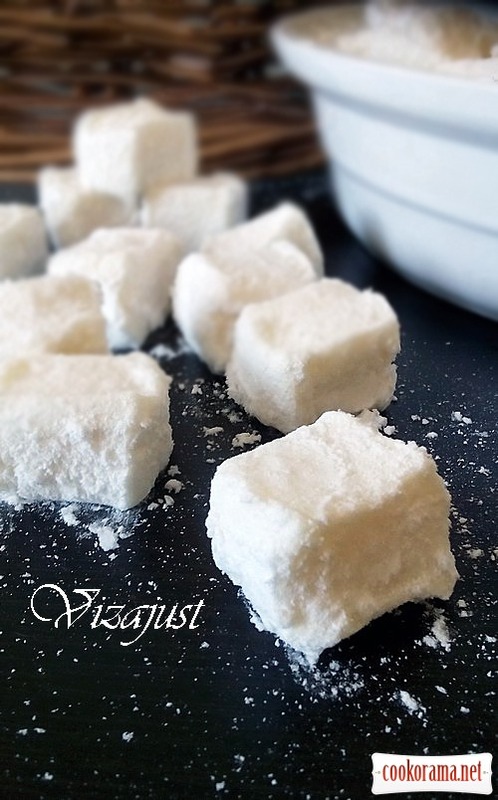 — pour sugar in saucepan with thick bottom, add water and lemon juice. — boil, cover tightly with a lid and cook over low heat for 45 minutes. 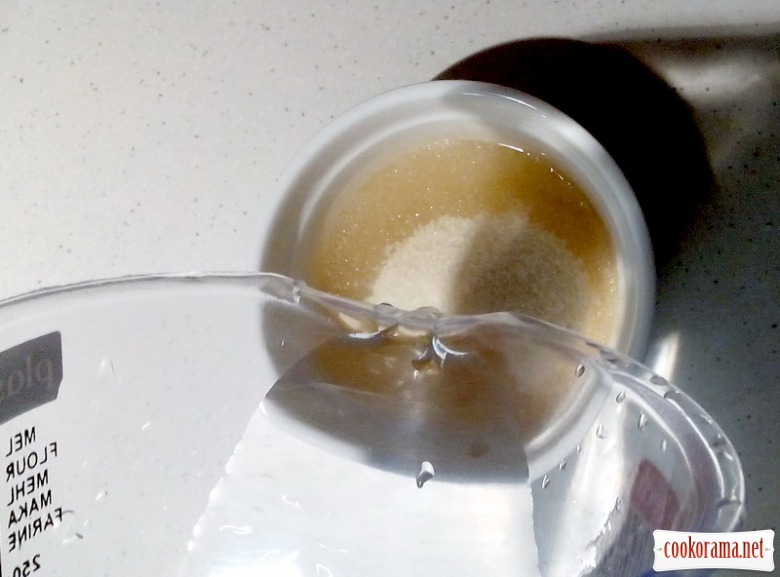 — cool a bit, add soda dissolved in dessert spoon of water, stir it. 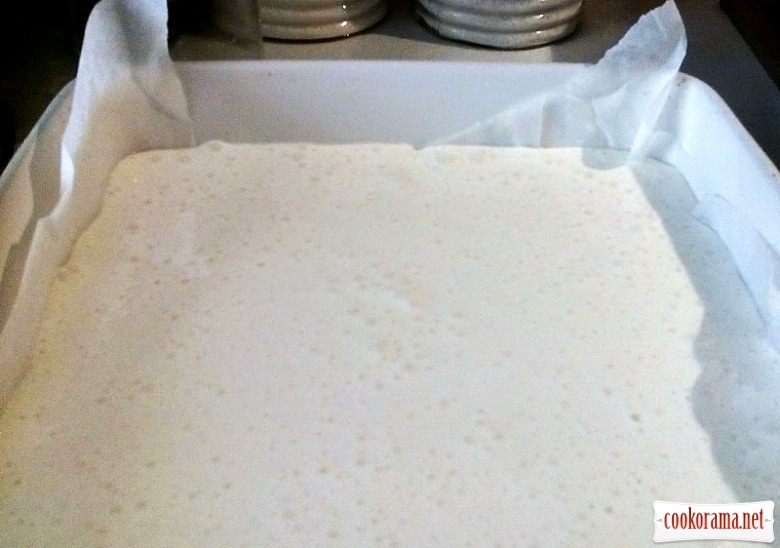 — foam appears, but about in 10-15 min syrup is ready. — pour gelatin with water (100 g) and let it swell. 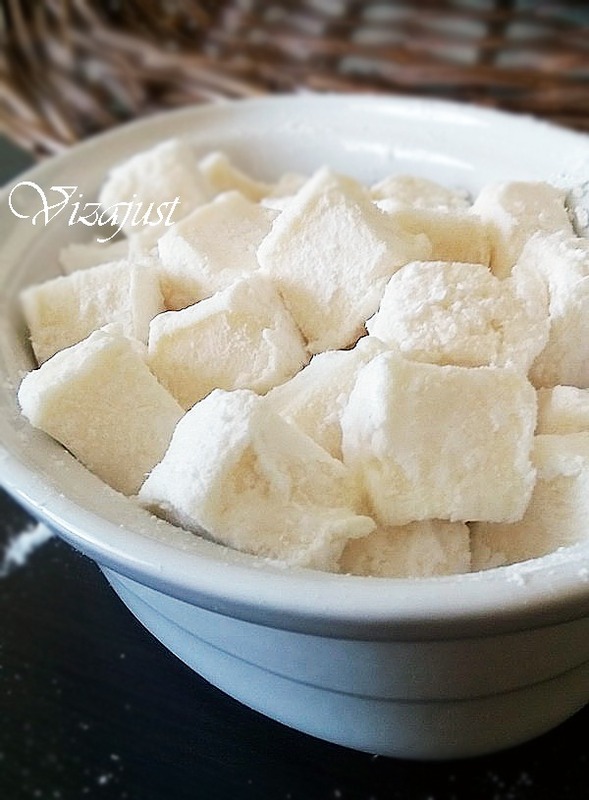 — mix in saucepan sugar, syrup, salt and water (100 g). — stirring, bring to a boil, boil over low heat at 110℃ (if you have not thermometer, for about 8 min). 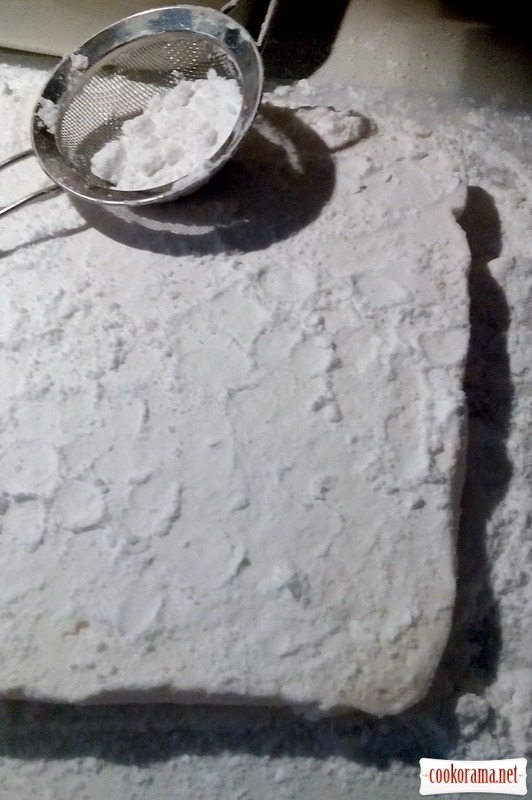 — prepare form, cover with parchment, pour with starch generously. 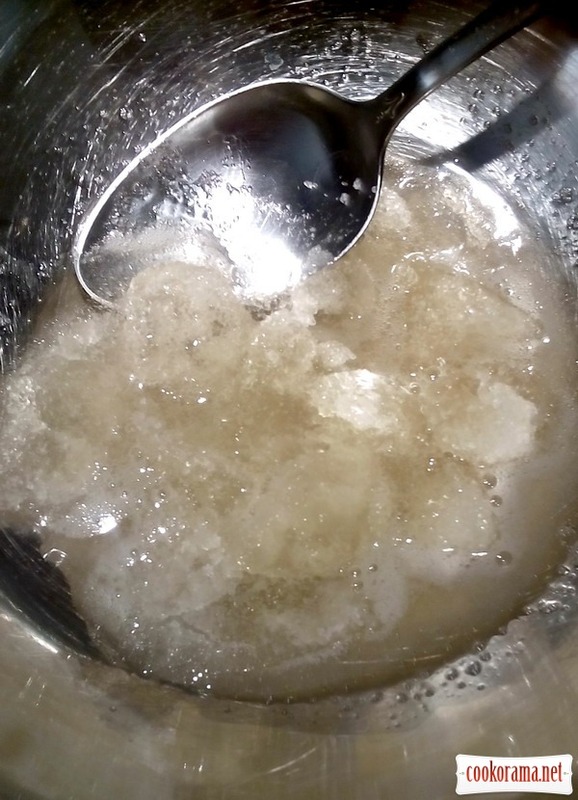 — you can melt gelatin over cooking syrup (which swelled). ***do not boil!!! maximum to 60℃. 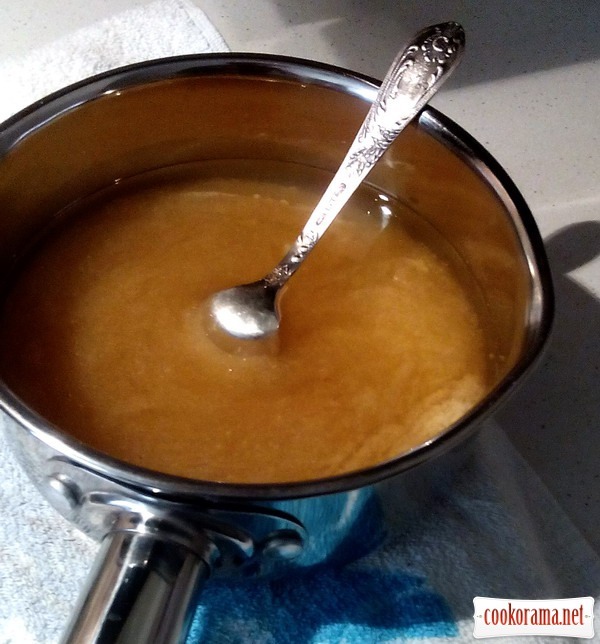 — when syrup is ready, start at low speed to mix melted gelatin, pouring hot syrup (not on the whisk). — gradually increase the speed to the maximum. — when the mass will increase in volume, add vanilla essence and whisk for about 15 minutes till mass become loose and tight. — immediately shift mass on prepared pan. 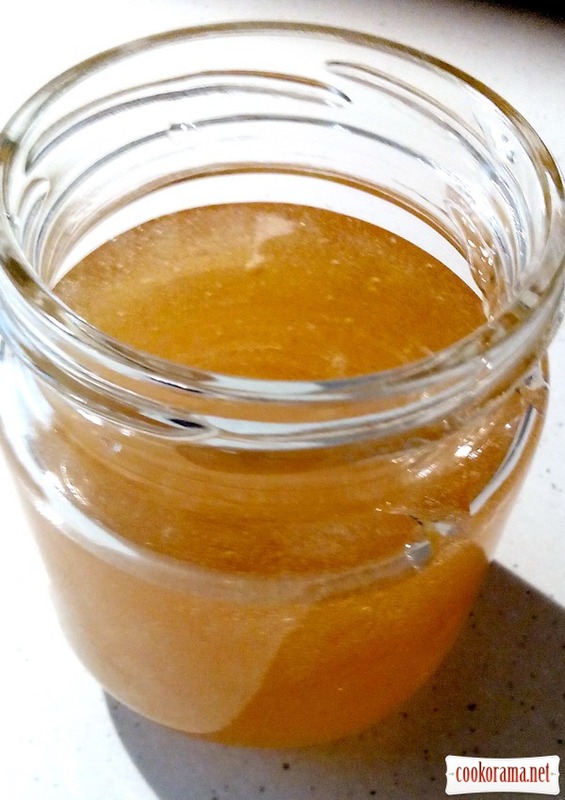 — leave at room temperature overnight (at least for 6 h). Spread ready layer on sprinkled surface, sprinkle top well too. 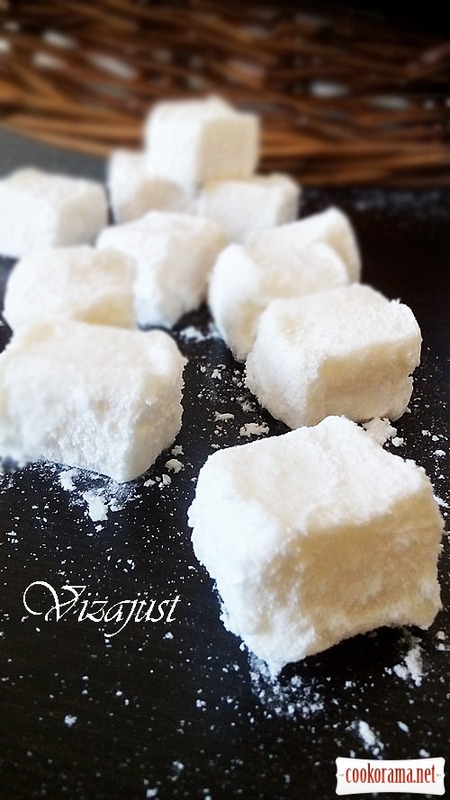 Cut with big knife, and roll in mixture of starch and powder. Очень вкусные получились! Покупные и рядом не лежали. Спасибо за рецепт!